The busy season is upon us and many businesses find themselves needing to hire temporary staff (temps) to keep up with client demands. Some business owners might be tempted to hire students or those without any relevant work experience to save costs or in response to the short-term nature of the work. However, this is not always the best idea. Depending on your industry and the positions you are looking to fill, temps who do not have the necessary experience or expertise might end up hurting your business rather than helping it, making mistakes that upset customers or incurring unnecessary costs. Our advice? Take the time (and get the help) to hire right, and avoid the pitfalls that come with hiring the wrong people for your business. Reduced labour costs. Hiring a temp means you can get the job done for the time you need it without taking on all the costs of a full-time employee. Depending on the type of contract you are offering, that might mean employee benefits or extra training. Flexible staffing. During these tough economic times, it’s not always viable for businesses to take on more full-time staff members and retrenching or firing staff can be a difficult and expensive process. Temporary placements allow smaller businesses to respond to customer demands, ad hoc projects and unexpected absences without disturbing the structure of their full-time team. A fresh take. When you bring a new employee into your workplace, you are introducing a new perspective – someone who hasn’t been working in the same way, with the same people, for a significant amount of time. This means they are sure to bring new ways of looking at problems and different skill sets to the table. Go-getter impact. Skilled temps tend to be self-starters who work with enthusiasm and independence. Because of the temporary nature of their work, they are used to engaging with new workplaces cultures and systems and tend to settle in quickly. This means the impact of their input is felt sooner rather than later. A trial run. Hiring a temp with the right skills and attitude that ends up doing a great job also gives you the chance to see how they fit within your company culture and if they would be suitable for a more permanent position. Even if the temp themselves isn’t willing to stay on after their contract is up, working with a skilled individual will show you whether it’s worth converting a temporary post into a full-time position. Buy some time. If you are looking for full-time staff but are finding the recruiting process to be a time-consuming and challenging one (we can help with that), a skilled temp can help hold down the fort while you look for someone more permanent. Having the right temp in place takes the pressure off the need to fill a vacant position while ensuring your organisation moves forward with its daily business. Spreading the feel-good vibes. In very busy times, your permanent staff might start to feel overwhelmed or stressed about the higher levels of work and commitment required to get their job done. This can lead to anxiety and a serious dip in employee morale. Bringing on board skilled temps to ease the load during a hectic time shows your staff that you care about their wellbeing, resulting in a happier and more productive team. Hiring the right temps can bring so much value to your business, especially during a transitional or busy time. And the best way to make sure you have the right people for the job is to work with the experts. 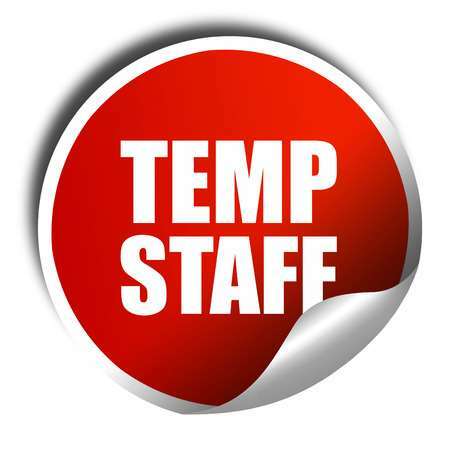 At Lee Botti and Associates, we have a dedicated temporary staffing team, Temp Alternatives. Following the Lee Botti and Associates ethos of customer care and service excellence, they know just how to find you the best temp candidates for your business.